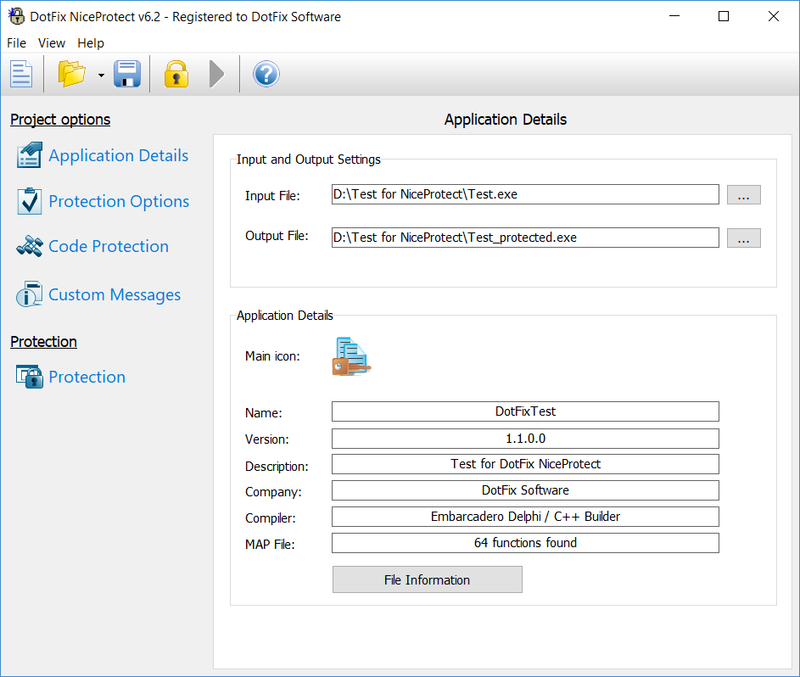 DotFix NiceProtect is an excellent software protector that adds external protection to your applications. "External" means that the protection is applied to a compiled application, so that you don't need to modify the source code in any way. Suppose you have implemented some registration check in your application, and then compiled and published it on your website. In this case, an experienced cracker can disassemble your app, locate the reg check, and crack the protection mechanism. 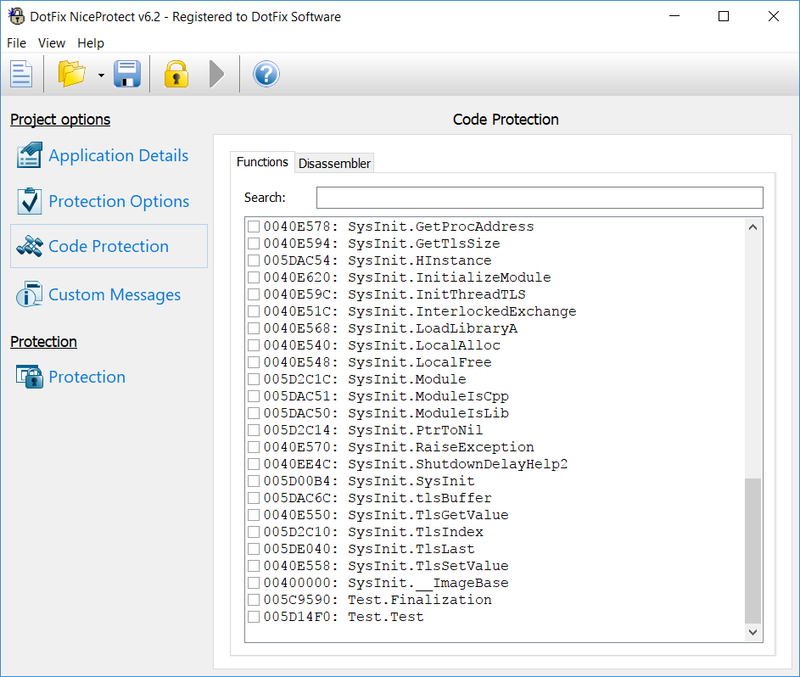 To prevent this situation, you can use DotFix NiceProtect. 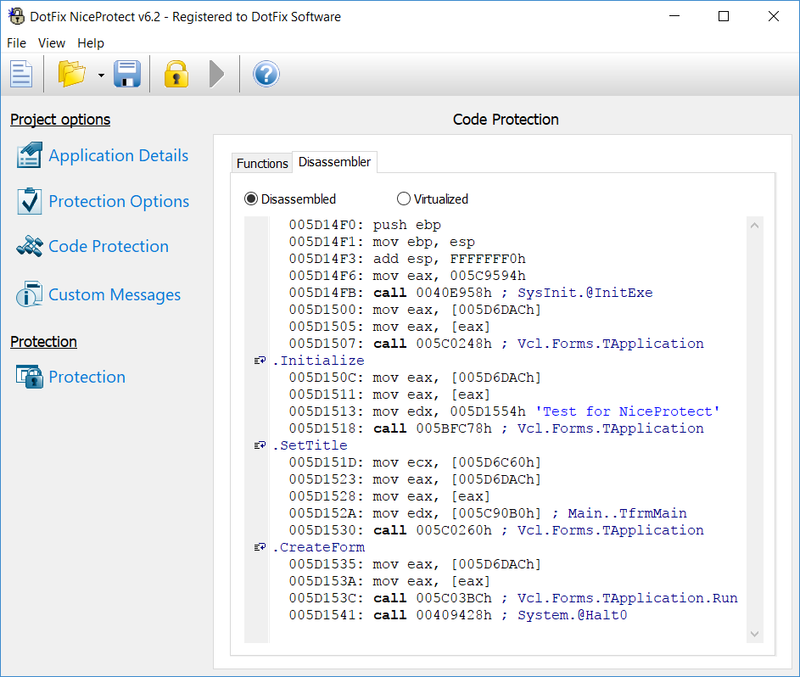 If you compile a program and then protect it with NiceProtect, most crackers will be unable to disassemble your program and explore its code, simply because it's encrypted. 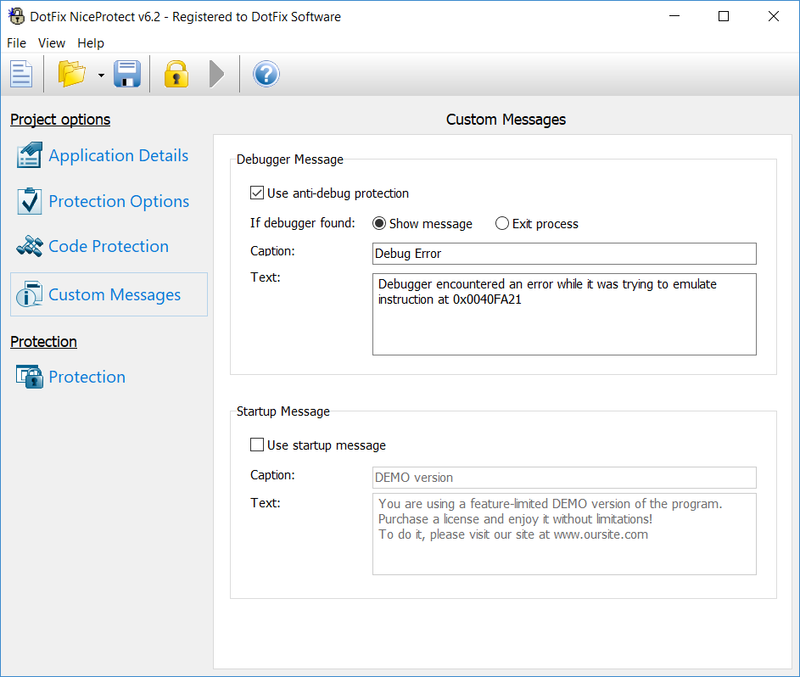 Moreover, the protection mechanism employs state-of-the-art polymorphic and metamorphic techniques, which makes it much more difficult for crackers to analyze the protection kernel. It's virtually impossible to remove this protection because the entry point is partially translated to metamorphic code, and some parts of the program are executed by a virtual machine to further complicate code extraction. Moreover, you can optionally pack your program's code to reduce the size of the executable file without any loss in functionality. As you can see, we are offering you a two-in-one solution: a great packer plus an external protector. 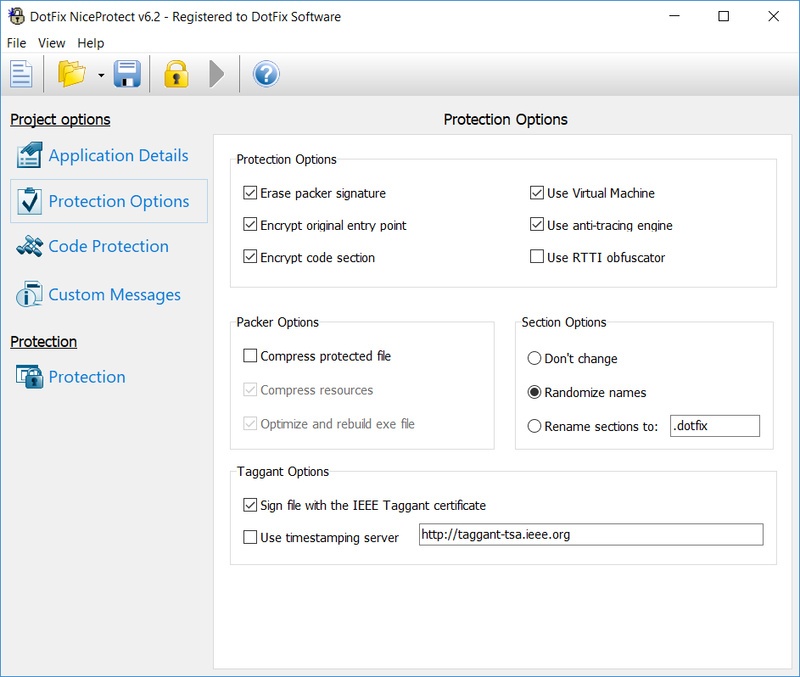 We highly recommend using DotFix NiceProtect to protect your programs!